Allargentum: Mineral information, data and localities. From the Greek άλλος ("allos") for "another" and latin argentum, "silver". 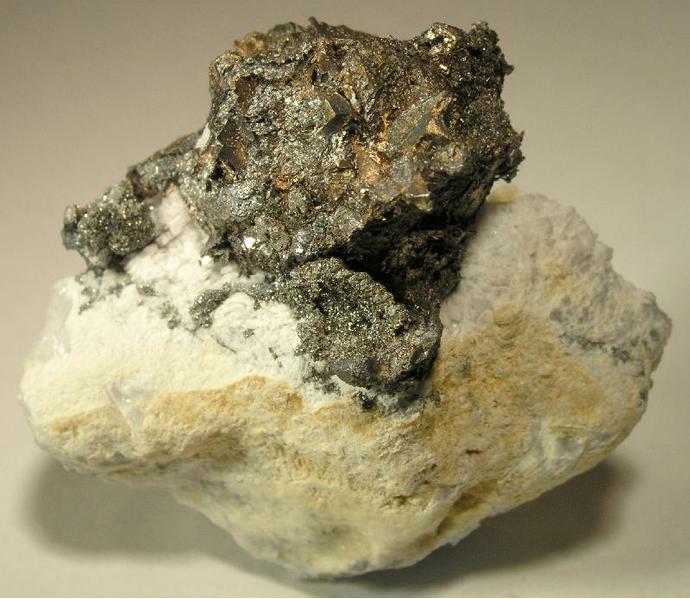 This page provides mineralogical data about Allargentum. Graph shows reflectance levels at different wavelengths (in nm). Top of box is 100%. Peak reflectance is 74.9%. In complex intergrowths with silver, and as very small grains. Canadian Museum of Nature, Ottawa, 61343–61345, 61519; The Natural History Museum, London, England; National Museum of Natural History, Washington, D.C., USA, 135409. Calcite 66 photos of Allargentum associated with Calcite on mindat.org. Silver 64 photos of Allargentum associated with Silver on mindat.org. Dyscrasite 60 photos of Allargentum associated with Dyscrasite on mindat.org. Actinolite 33 photos of Allargentum associated with Actinolite on mindat.org. Breithauptite 3 photos of Allargentum associated with Breithauptite on mindat.org. Safflorite 2 photos of Allargentum associated with Safflorite on mindat.org. Antimonian Silver 2 photos of Allargentum associated with Antimonian Silver on mindat.org. Freibergite 2 photos of Allargentum associated with Freibergite on mindat.org. Siderite 1 photo of Allargentum associated with Siderite on mindat.org. Skutterudite 1 photo of Allargentum associated with Skutterudite on mindat.org. Zeitschrift für Elektrochemie (1940): 53. Ramdohr, P. (1950) Die Erzmineralien und ihre Verwachsungen. Akademie-Verlag, Berlin, Germany. Petruk, W., Cabri, L.J., Harris, D.C., Stewart, J.M., Clark, A.M. (1970) Allargentum redefined. The Canadian Mineralogist: 10: 163-172. Scott, J.D. (1976) Refinement of the crystal structure of dyscrasite, and its implications for the structure of allargentum. The Canadian Mineralogist: 14: 139-142. Cipriani, C, Corazza, M., Mazzetti, G. (1996) Reinvestigation of natural silver antimonides. European Journal of Mineralogy: 8: 1347-1350. The following Allargentum specimens are currently listed for sale on minfind.com. Canadian Mineralogist (1969): 10: 163-172; L.Lawrence, A.R.Ramsden & I.T.Graham 1999. On oxidation of Dyscrasite and associated minerals of the Consols Lode, Broken Hill, New South Wales. Australian Journal of Mineralogy Vol.5, No.2, Dec.1999, pp. 63-68; Vera Munro-Smith (2006) Cobalt Mineralisation in Selected Australian Deposits. PhD thesis, University of Western Sydney. 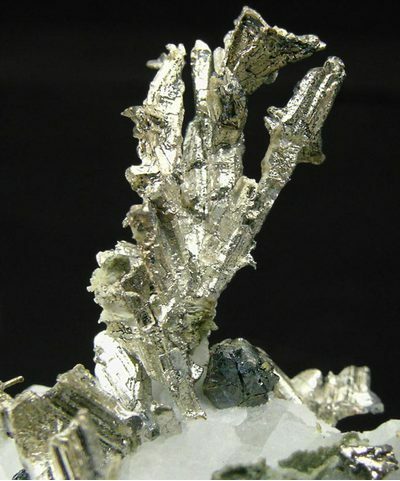 RAMDOHR, P. (1949): Neue Erzmineralien. Fortschritte der Mineralogie 28, 69-70 (abstr.). RAMDOHR, P. (1950): Die Erzmineralien und ihre Verwachsungen. Akademie-Verlag, Berlin, Germany. PETRUK, W., CABRI, L.J., HARRIS, D.C., STEWART, J.M. & CLARK, A.M. (1970): Allargentum redefined. Canadian Mineralogist 10, 163-172. Petruk,w. et al. 1971. 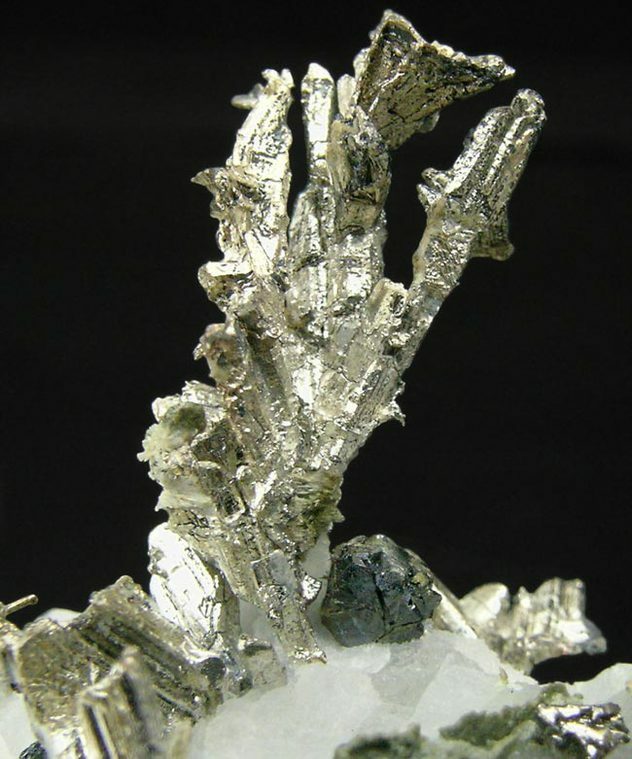 Characteristics of the silver-antimony minerals. In The Silver-Arsenide Deposits of the Cobalt-Gowganda Region, Ontario, CM v11,pt1. 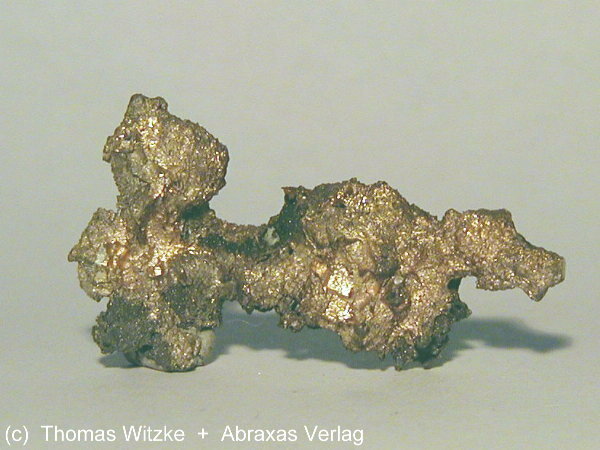 Jiří Zachariáš, Matěj Němec (2017): Gold to aurostibite transformation and formation of Au-Ag-Sb phases: the Krásná Hora deposit, Czech Republic. Mineralogical Magazine, 81, 987-999. In the collections of Tony Peterson and Brent Thorne. ; Sebastian Staude, Thomas Wagner and Gregor Markl (2007): Mineralogy, mineral compositions and fluid evolution at the Wenzel hydrothermal deposit, southern germany: implications for the formation of Kongsberg-type silver deposits. Can. Mineral. 45, 1147-1176. Kullerud, K., Kotková, J. & Škoda (2016): Ag-Sb bearing minerals from the Kongsberg Silver Deposit, Buskerud, Norway. Norsk mineralsymposium 2016, 53-59. Neumann, H. (1985): Norges Mineraler. Norges geologiske Undersøkelse Skrifter 68, p. 12. Cook, N.J., Spry, P.G., and Vokes, F.M. (1998):Mineralogy and textural relationships among sulfosalts and related minerals in the Bleikvassli Zn-Pb-(Cu) deposit, Nordland, Norway. Mineralium Deposita 34, 35-56. Nokleberg, W.J., ed., (2010) Metallogenesis and tectonics of northeast Asia: U.S. Geological Survey Professional Paper 1765, 624 p.